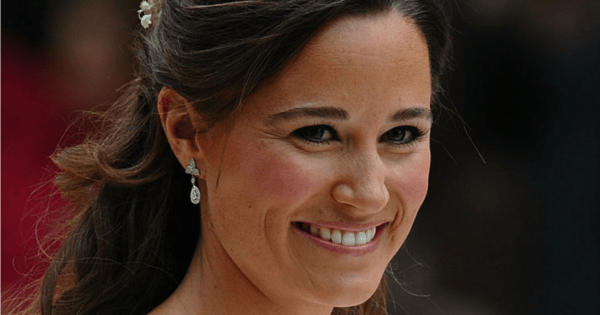 Pippa Middleton Sirtfood diet: The pre-wedding diet making headlines. Pippa Middleton's pre-wedding diet is causing quite a stir. Less than a month out from the wedding that royal-diehards would like to claim as their own, Pippa Middleton’s pre-wedding diet is making headlines after she was spotted leaving a London gym on Thursday. Middleton, who is due to marry hedge fund manager James Matthews in Berkshire on May 20, will have the eyes of the world – and some very famous guests – on her as she says ‘I do’. Photographed leaving a Chelsea gym that proselytizes the ‘Sirtfood diet’, it’s believed the bride-to-be is following the very strict food plan in the lead up to her wedding. As the diet itself makes headlines all around the world for its very high-profile follower, there are a few things to keep in mind about what it actually entails. The Sirtfood diet was created by health consultants Aidan Goggins and Glen Matten. The book that the duo wrote boasts those who follow the diet could lose “seven pounds [three kilograms] in seven days”, with the blurb saying Middleton has followed the diet before. Sirtfoods are a group of “newly discovered” foods that supposedly help activate a person’s sirtuin – or “skinny” – genes. “Ranging from chocolate and red wine to garlic and walnuts, sirtfoods are particularly rich in special nutrients that help us activate the same skinny genes in our bodies that fasting triggers,” the book reads. Listen: Rebecca Sparrow and Robin Bailey talk about all things food and whether we can consider it our friend or foe. Sirtfoods include including strawberries, kale, arugula, red wine, and walnuts. Despite the fact red wine (and chocolate) can be included in the “diet”, experts do warn the diet can be restrictive and, like any diet, have long-term consequences. Essentially, the meal plan is broken down into two phases – in the first, you’re not supposed to consume more than 1000 calories a day, in phase two a marginally better 1500 calories is permitted. In Australia, the average person is recommended to consume 8700 kilojoules, which equates to just over 2000 calories. Registered dietitian Brigitte Zeitlin spoke to The Cut that the diet is actually quite dangerous. Laura Thomas, a qualified nutritionist, wrote for The Huffington Post last year taking issue with the fact so much of the diet is focused on juice cleansing. "I think there is space in the diet for people to include green juice that is vegetable based. I don’t think 2-3 juices, as replacements for actual wholefood meals is sound or responsible nutrition advice," she wrote. Pippa Middleton is known for being active - she&apos;s run two marathons along the Great Wall of China, so it&apos;s probably no surprise she is following a strict workout routine and diet. Of course, there are the other rumours floating about, too: Was Pippa deliberately snapped outside the gym - which has a restaurant that features a Sirtfood diet-friendly menu - because she was paid to do so? It&apos;s very hard to say, but we will give her the benefit of the doubt. One thing&apos;s for sure, though - if you see this stuff floating around your newsfeed, do some digging.